Even though we moved into our house in October, we are still doing a little remodeling! The top floor of our home has three bedrooms and now that we are having a little girl, I wanted her to have her own nursery without sending one of our boy’s to a bedroom in the basement. That meant that they would have to share a room. I have seen so many darling shared boys rooms online, but we had a pretty small room to work with. I knew I wouldn’t be able to fit two twin beds and a dresser in the room so bunk beds were a must! Let’s get to the makeover! 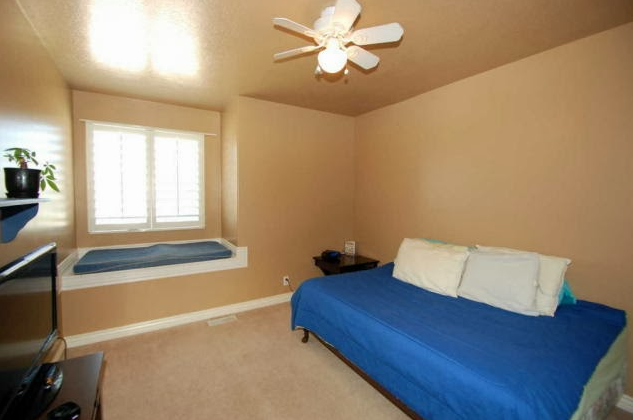 This is a picture of the room from our home’s listing….as you can see, it needed some work! We painted the ceiling and trim in Sherwin-Williams Pure White and the walls in Sherwin-Williams Frosty White. The Frosty White was the perfect really light gray color we were looking for to help brighten up the room! After we got some mattresses on the bunk beds I ordered some really cute bedding to go on them. 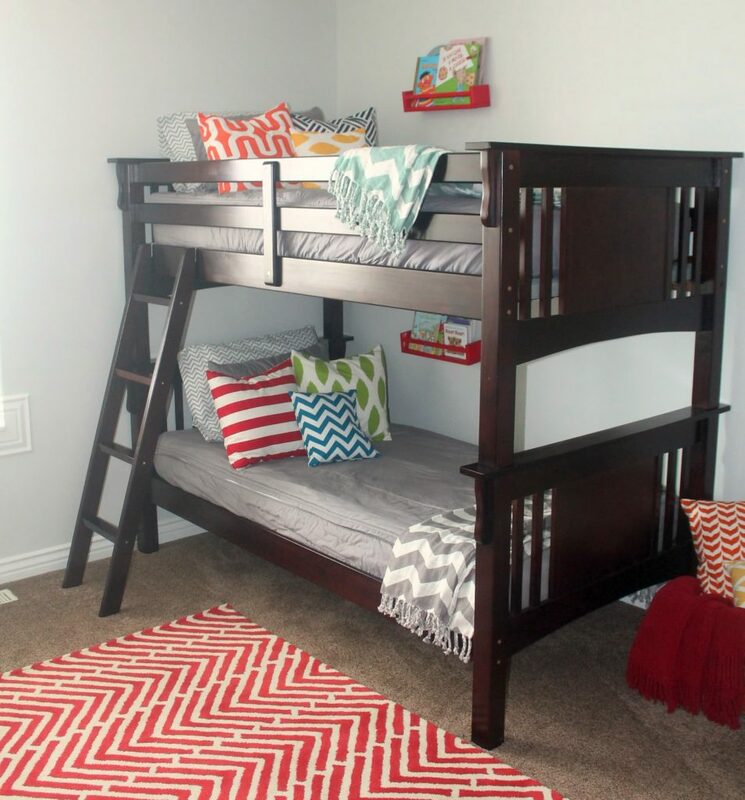 I had never thought about making bunk beds, especially in my third trimester of pregnancy! You guys, it was the most ridiculous thing EVER! I was kneeling on the top bunk, trying to pry up the mattress and tuck in the sheets and quilts. It was a nightmare! It literally took me 20 minutes to make their beds and they still looked horrible. There was no way I was doing that everyday. I looked at Facebook that night and saw my friend had mentioned something about a company named Beddy’s, who makes darling children’s bedding that zips and makes it so easy to make any kind of bed! It was seriously an answer to my pregnant lady prayers! I emailed them right away to order some after I read more about their wonderful products. Seriously, go to their website and see how cute they are! I am somewhat of a clean freak and like our beds made everyday and topped with all kinds of decorative pillows (I know, my husband thinks I’m crazy too!). 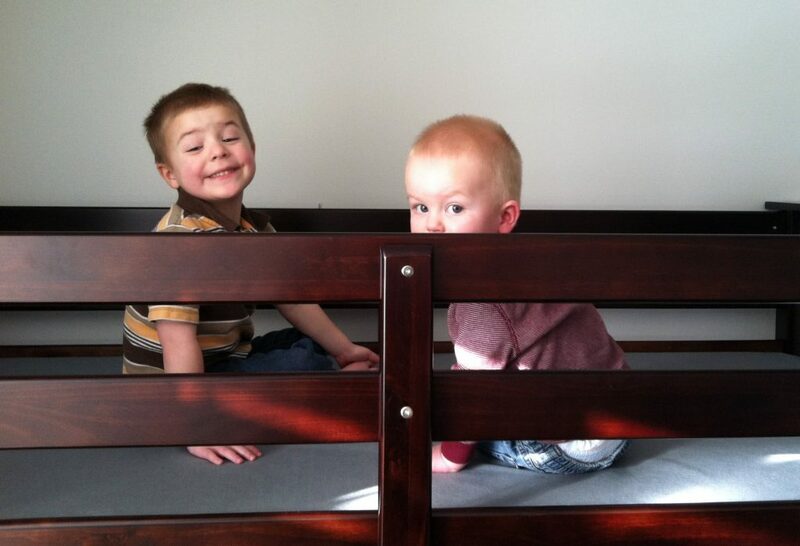 My boys are 4 and 2 years old so making the bed is quite the task, especially if it is on a bunk bed! Beddy’s bedding is a simple one piece design that has a hidden zipper so your kids can actually zip up their bed! Best. Invention. Ever! You would never know by looking at their bedding that it zips because the zipper is hidden and the designs are so darling. My kids actually sleep better at night because I can zip them in bed at night and they don’t kick their blankets off. The bedding is so soft and comfortable! Then in the morning, they can wake up and make their own beds! It is wonderful! As soon as my bedding arrived, I couldn’t wait to put it on! I love the gray Beddy’s bedding! It is so neutral that you could easily decorate with any colors through pillows and throws! These darling pillows are from my friend, Kiersten, at Nanny Goat Pillows. If you haven’t seen her pillows you have to go check them out! I am obsessed! Pssst! At the bottom of this post I am giving away two of her darling pillows to one of our lucky readers! So stay tuned! But seriously, doesn’t that bedding just brighten up the whole room?! You can actually order yours now! My sweet friends, Betsy and Angie, are both moms and had the same problems I did when it came to making beds! They came up with this wonderful idea and decided to turn it into a business. Be sure to check out Beddy’s HERE! You can also follow them on Facebook, Twitter, Pinterest and Instagram! 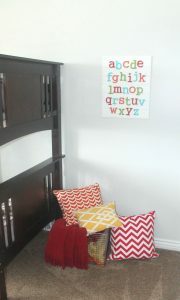 I took inspiration from the cute, bright pillows to finish the rest of the room. I got this cute ABC sign from Evie Ivy Crafts. It goes perfectly with all the bright colors in the room! She makes the most darling handmade signs. On the wall opposite the bunk beds, I hung some picture ledges to display some cute pictures of my boys! I painted the frames, which are from PoppySeed Projects. I purchased the lampshades from Target. The lamp bases and small yellow clock are from World Market. The piggy banks are from a local craft store (similar one HERE) and the cute robot clock is from Say Hello. I love how bright and warm the room is now! Check out our Project Index for more remodels, crafts and tutorials! 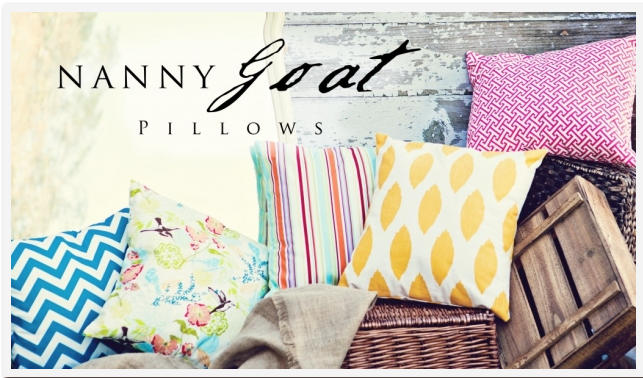 As promised….. here is the giveaway for two darling pillow covers from Nanny Goat Pillows! I have seen the Beddy's bedding in person recently at the What a Woman Wants expo and it is such high quality fabric. I've done my pre-order through Kickstarter and can't wait to get my bedding! I too have boys in bunk beds. Thanks for sharing this on your blog! I love the pictures. Everything turned out perfect! You have GREAT taste. Love it! Love your blog...yep love it all! Love the makeover! Love the contest. Could not find Beddy' s on Instagram. I will continue to try. Can you please tell me where you purchased the adorable book holder things that are on the wall next to each bed? Awesome bedroom makeover! I love the vibrant colors! Hi Michelle! 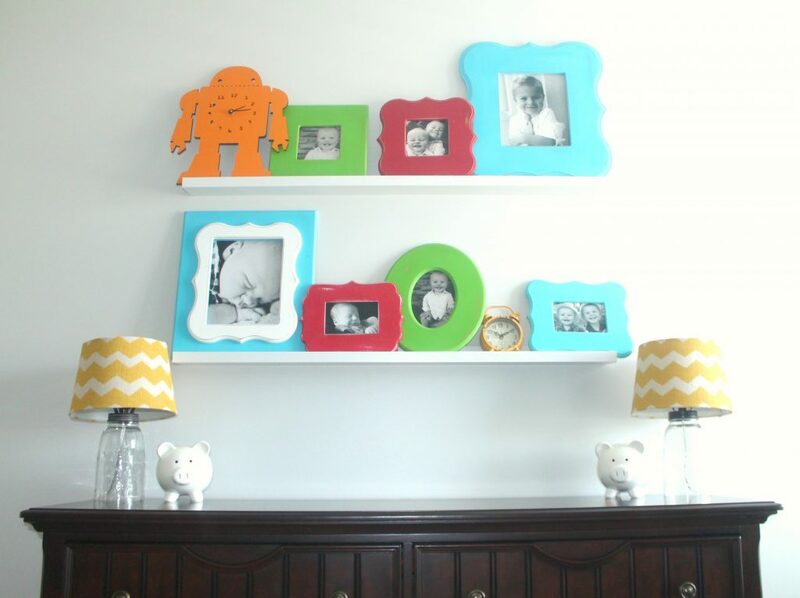 The cute book holders are spice racks from IKEA that Elyse spray painted red. They are $3.00 each. Such a cute and fun idea! We painted the walls in Sherwin-Williams Frosty White. The Frosty White was the perfect really light gray color we were looking for to help brighten up the room! Where did you get the bunk bed?? From a local furniture store or somewhere online? 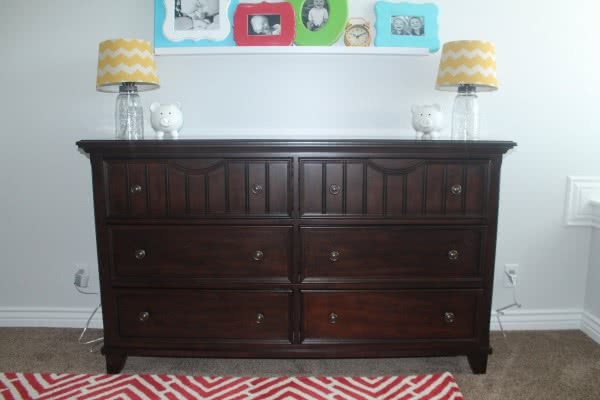 I'm redoing our small room for our two boys and this looks perfect. Also thank you so much for the tip on the bedding - I will definitely be looking into it! We bought the Bunk Beds from a furniture store in Utah, RC Willey. They have a website rcwilley.com and you can look at all of their bunk beds. 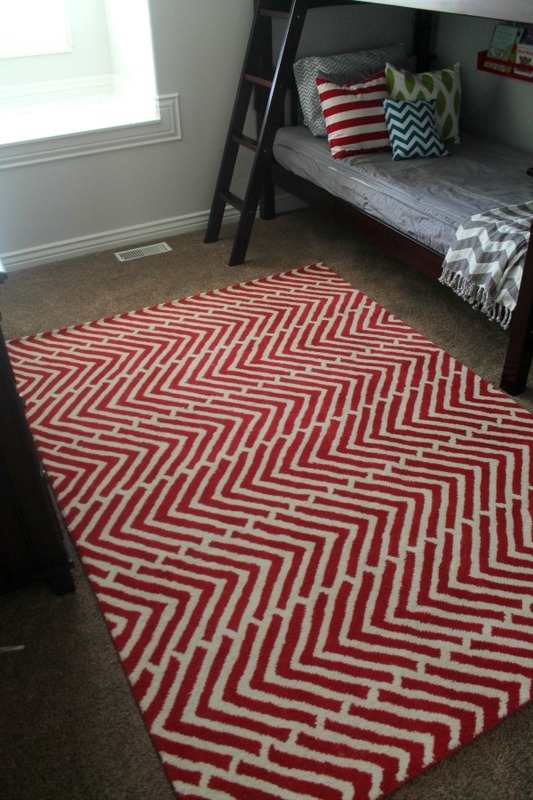 Can you please tell me where you bought the chevron throw/blankets from. Thank you ! Cute room! Love the bedding idea! Have they thought about expanding into teen/young adult designs? My teenager girls would LOVE to have these.